Our student film competition gives chance to young filmmakers to show their best potential! Four student teams shot their short movies in the last week of August, using everything they need on the territory of Nu Boyana Film Studios – equipment, sets, wardrobe, props and etc. The teams were formed of students, holding different positions – Screenwriter, Director, DP, Camera Assistant, Script Supervisor, Stylist, Set decorators, Video Editor, Sound Designer, Production Assistant and etc. The teams were given basic script guidance for the concept of their short movie and they decided weather to make a comedy, a drama or action out of it. The Studio provided professionals to serve as mentors, supporting the work of each team. Made in Nu Boyana vocational training project is conducted for the first time, giving chance to future filmmakers to complete the whole process of producing a movie in the professional environment of the film studio. 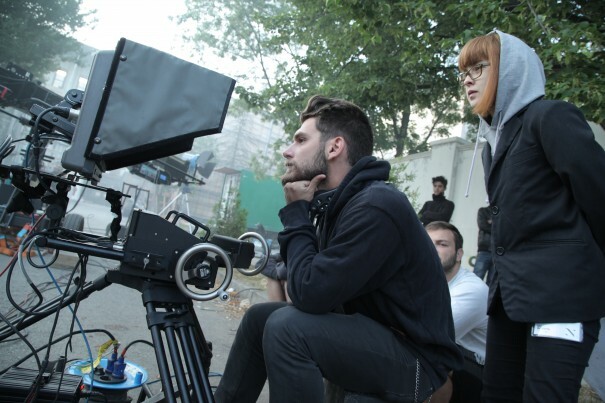 The students had to follow a strict production schedule – 3 days preparation, 2 days shooting and 10 days post-production. An international panel of judges, working in the movie business, will choose the winner film in September.